A Daly City man and five inmates at a San Mateo County women's jail were arrested last Friday as part of a wide drug-smuggling ring on the Peninsula, according to the San Mateo County Sheriff's Office. 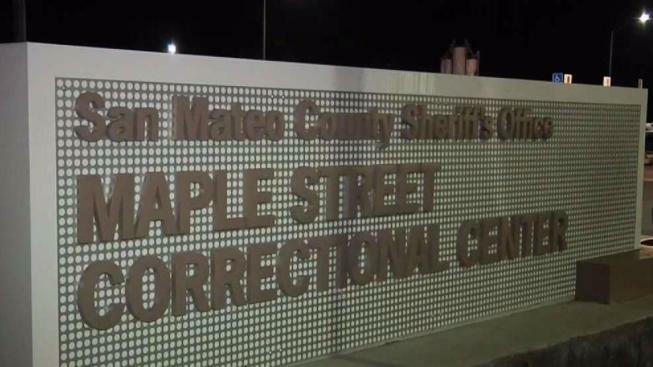 A county narcotics task force made the arrests after its investigation found the suspects were part of a drug ring trying to send methamphetamine into the Maple Street Correctional Center to be distributed within the Redwood City jail, sheriff's officials said. Daly City resident Richard Wood, 54, was arrested in Burlingame and booked on numerous counts of possession for sales of a controlled substance, transportation of a controlled substance, criminal conspiracy and bringing drugs into a correctional facility, sheriff's officials said. He is being held in lieu of $700,000 bail. The inmates who were re-arrested in the case were: Rhiannon Lawler, 37, of San Francisco; Shelby Myers, 26, of San Mateo; Peweli Pinkston, 27, of East Palo Alto; Sara Regan, 34, of San Francisco; and Jean Stoller, 36, of Pacifica. Four suspects are outstanding and the Sheriff’s Office holds warrants for their arrest. They are: Bridgette Chavis-Damon, 38, of Redwood; Ephraim Manlapaz, 44, of San Francisco; Nancy Sanchez, 32, of San Francisco; and Agnes Banquerifo-Taylor, 47, of Pacifica. Corrections staff intercepted a number of letters and cards that had been dipped in liquefied meth and mailed to a number of female inmates at the jail. The suspects hoped that by dipping paper in meth and mailing it into the jail that it would not be detected, sheriff's officials said. Anyone with information about the crime or the location of wanted subjects should contact Special Agent Rich Daly at (650) 573-3991 or rdaly@smcgov.org. Anonymous tips can be given by calling the San Mateo County Sheriff’s Anonymous Tip Line at 800-547-2700.